The world of Islamic finance and investing represents an exciting world of opportunities for Muslims all over the world, and one we think should likely continue to grow. I recently had the pleasure of attending the Global International Islamic Finance Forum (GIFF) in Malaysia and had the opportunity to share our team’s views as well as exchange information on the future of Islamic finance in emerging markets. More than a thousand participants from around the world attended this year’s GIFF in Malaysia, which I think is testament to the growth of Islamic finance. If you look at the sector weightings of the MSCI Emerging Markets Islamic Index versus the more general MSCI Emerging Markets Index, you will see significant differences. 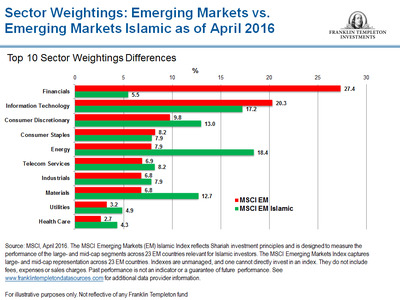 For example, financials is much smaller in the Islamic Index, while consumer discretionary and energy are much higher for the Islamic index. Country weightings also differ between the indexes. Muslim populations have been growing worldwide, and economies in Muslim countries have similarly been growing. In 1987, Muslim-majority countries represented about 4% of global gross domestic product (GDP); as of December 2015, they represented about 8% of global GDP.5 We believe that percentage will continue to grow. 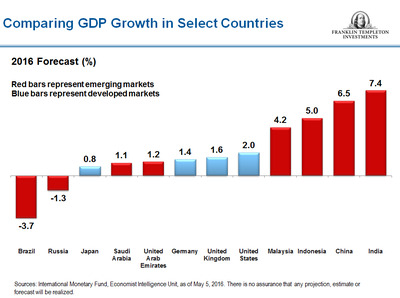 We also have observed that GDP growth has been higher in emerging markets generally (including many Muslim countries) than in developed markets over the past two decades. Many Westerners associate countries in the Middle East with the Muslim world, but some countries in Africa and Asia also have large Muslim populations and good potential growth trends, Indonesia being the most populous individual Muslim country. 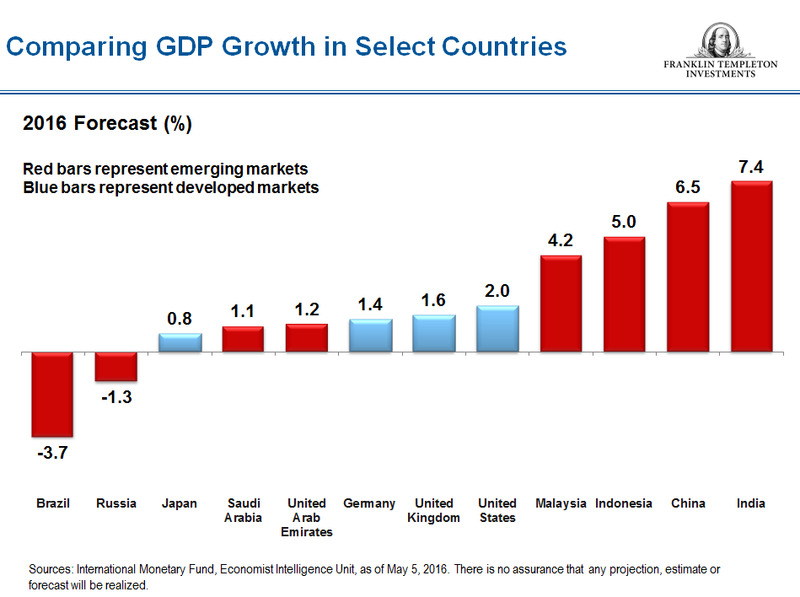 In the charts below, you can see the estimated growth and growth forecasts for Muslim-majority countries as well as select emerging markets versus select developed markets. At the GIFF, Malaysia’s central bank governor discussed Malaysia’s role as a global leader in Islamic finance, which operates alongside conventional financial markets. Malaysia has been a pioneer in Islamic finance, and the central bank’s efforts to develop Islamic finance span more than three decades. In 2001, the Securities Commission Malaysia provided a framework for establishing the country as a leader in Islamic finance as part of its first 10-year “Capital Market Master Plan.” In 2006, the Malaysia International Islamic Financial Centre (MIFC) was launched to help further its goal of becoming an international Islamic financial hub — which I think clearly has been achieved! Malaysia’s equity market has experienced weakness this year, along with its currency, which fell to its lowest level versus the US dollar since the mid — late 1990s, at a time Asia was experiencing financial crisis. We had to ask ourselves: Was it really that bad in the country — was this year’s selloff justified? 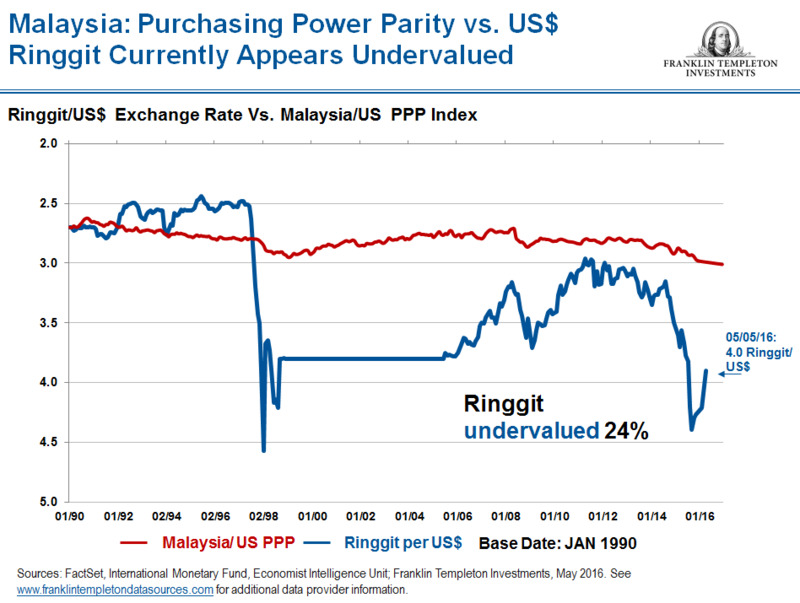 There are many ways to determine currency valuations, but we use purchasing power parity to help determine whether a currency is overvalued or undervalued. This measures inflation in one country versus inflation in the United States. So, for example, if inflation in Malaysia, China or any other country is higher than inflation in the United States, those currencies should naturally decline versus the dollar. 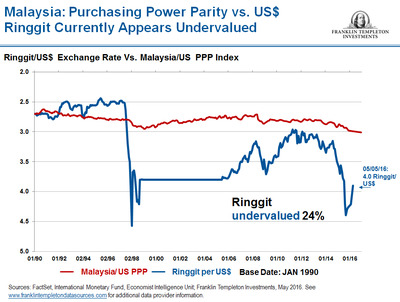 Based on this measure, we currently see the currencies of both China and Malaysia, as well as the currencies of Indonesia, Thailand and Saudi Arabia, appearing to be undervalued. We also see equities in emerging markets generally undervalued based on measures such as price/earnings and price/book ratios. Looking at some other fundamentals in Malaysia, we know that the country is a net exporter of oil and gas, so lower prices have had a negative impact. 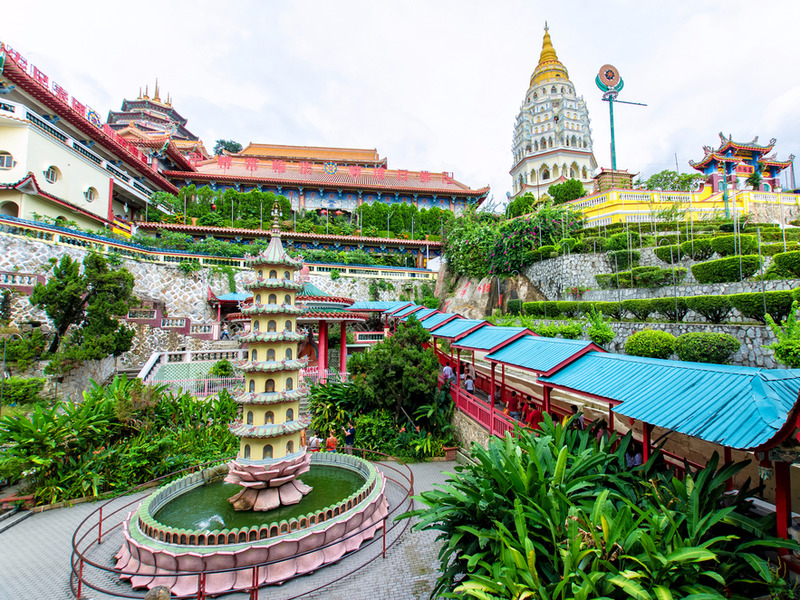 Palm oil is also a key export for Malaysia (the world’s second-largest producer) and its price has been weak, and that certainly has had at least a psychological market impact. However, the use of palm oil globally is not declining, mainly because of demand from China and India, and we don’t expect prices to stay permanently depressed. Additionally, Malaysia has a diverse array of export products, and is actually predominantly a consumption-driven country (representing 60% of GDP), so commodity prices alone cannot explain the dire situation the markets seemed to be reflecting there. Malaysia’s economy has a large service sector, which to me is a sign of its maturity. GDP growth since 1996 has averaged about 5%, and while various forecasters call for growth below that level this year, it still appears to be experiencing a solid growth rate. Looking at some other metrics, household debt is at 89% and public or government debt-to-GDP is at 54%.6 While those readings may seem high to some observers (and higher than they were in 1997 during the Asian financial crisis), both readings are actually less than that of the United States. Malaysia’s trade surplus is good (which not many countries can boast) and foreign reserves remain at a healthy level. We also believe Malaysia’s demographics represent a positive factor going forward, as its young population is entering its most productive years and represents a big consumer market. I think the country has much more potential in many consumer sectors, as well as in tourism. If economic fundamentals do not seem to be signalling crisis, it seems that political scandal has been more likely behind the flight of foreign investors from Malaysia. The default of 1Malaysia Development Bhd (1MDB) and the related political scandal affected investors’ sentiment and confidence. However, foreign investor flows are often short term in nature and temporary. Negative news certainly affects investor confidence but we generally see these periods of market overreactions as opportunities — if we find reasons for a recovery long term. We find a number of sectors to be attractive in Malaysia today, including integrated oil companies involved not only in production but also exploration, refining and marketing, as well as companies involved in the consumer sector. Our strategy has been to focus on the long term and not get sidetracked with individual news items; that’s something we strive to do in any market we invest in. 1MDB is not the entire story of Malaysia’s economy — although positive resolution should help foster improved investor sentiment. The proliferation of the Internet and smartphones is accelerating change, including bringing corruption to light in many countries. Exposing corruption and scandals publicly can help bring about positive longer-term changes — hopefully that is the case for Malaysia and 1MDB. 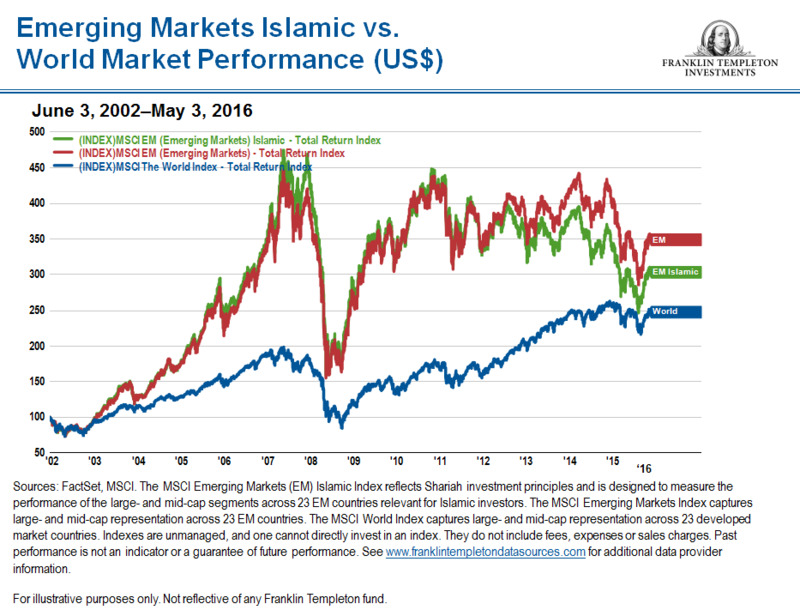 Meanwhile, Malaysia continues its efforts in the area of Islamic finance. I found Datuk Muhammad bin Ibrahim’s comments at the GIFF quite interesting in regard to how new technological innovations could take Islamic finance to the next level of development. He spoke of how the digital revolution and widespread penetration of technology-driven applications were already present in nearly every segment of the financial sector, and that so-called “fintech” innovations have been fundamentally altering the way we experience and deliver financial products and services. This is something I have also been talking about for some time. Emerging markets are experiencing a technological leapfrogging in many areas; the adoption of new technologies is moving very fast. One example is in the area of mobile banking and electronic payment systems, which are growing worldwide. In Malaysia, the first Islamic Shariah-compliant Internet-based banking platform was launched this year, called the Investment Account Platform (IAP). Formed by six Islamic banks in Malaysia, it utilises technology to efficiently channel funds from investors to viable economic ventures, promoting risk-sharing and supporting cross-border investments. This is just one example of how new technologies are shaping the Islamic world, and the world of emerging markets.